Posted By:Unknown | At:7:03 AM Be the first to comment! Well guess who was out and about in Detroit on Friday night? 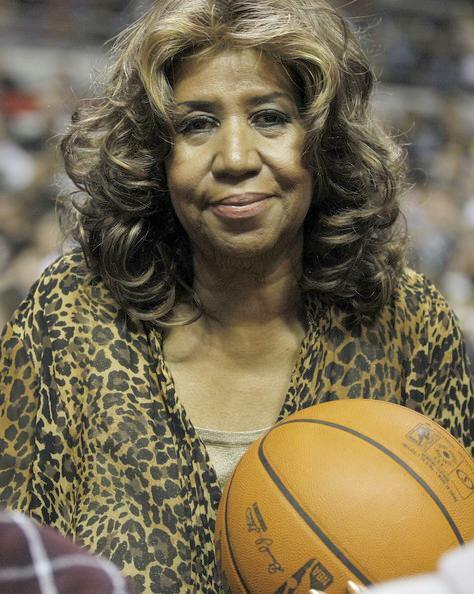 Non other than the Queen of Soul, Aretha Franklin. 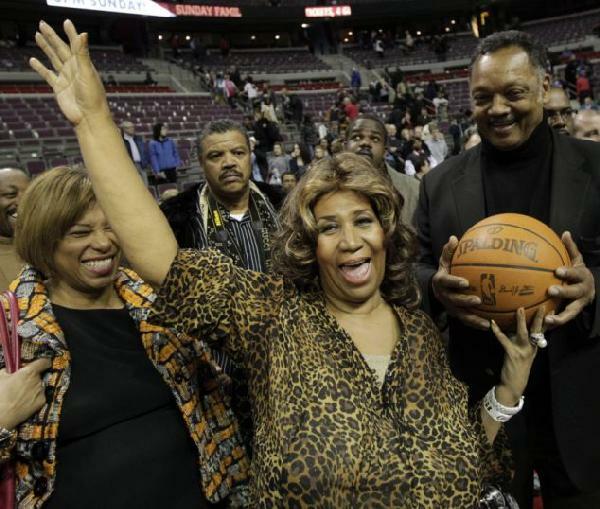 Along with Jesse Jackson, she was on hand when LeBron James and the Miami Heat visited the Detroit Pistons. At halftime she told reporters she hopes to resume her public schedule in May – probably at New York's Radio City Music Hall. "Probably starting at Radio City, reschedule what I had to cancel," she said. 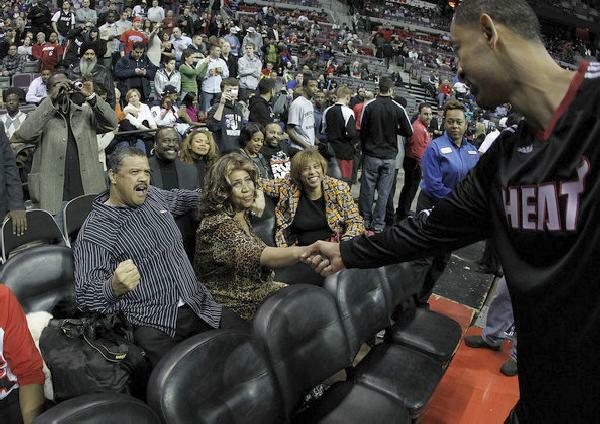 The Pistons game was believed to be one of Franklin's first public appearances since undergoing surgery Dec. 2 for an undisclosed ailment. Franklin announced in November that she would be canceling all concert dates and personal appearances through May on doctors' orders. 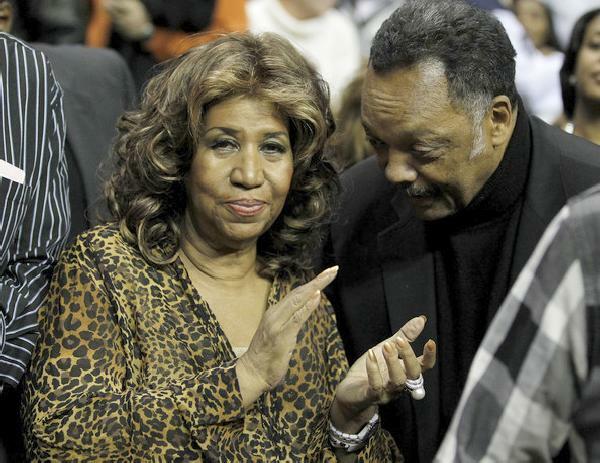 Neither Franklin nor her publicist, Tracey Jordan, have stated what the medical issue was the 68-year-old singer has been dealing with, but she was in good spirits Friday. "I'm feeling really great," she said. "Loving the game, loving the game."